Summary: A love out of time. A spaceship built of secrets and murder. 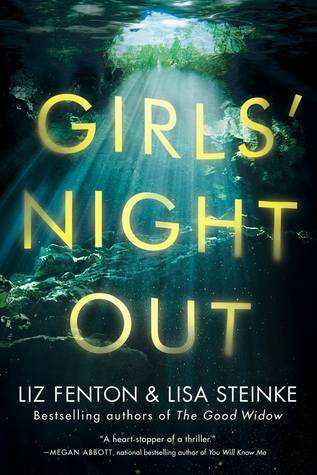 Seventeen-year-old Amy joins her parents as frozen cargo aboard the vast spaceship Godspeed and expects to awake on a new planet, three hundred years in the future. Never could she have known that her frozen slumber would come to an end fifty years too soon and that she would be thrust into a brave new world of a spaceship that lives by its own rules. Amy quickly realizes that her awakening was no mere computer malfunction. Someone—one of the few thousand inhabitants of the spaceship—tried to kill her. And if Amy doesn’t do something soon, her parents will be next. Now, Amy must race to unlock Godspeed’s hidden secrets. But out of her list of murder suspects, there’s only one who matters: Elder, the future leader of the ship and the love she could never have seen coming. My Review: Holy spaceballs! Across The Universe, showcased a highly elaborate civilization designed to keep humanity at a peaceful standstill. Aboard the spaceship, Godspeed, the leader Eldest and his trainee Elder were in charge of keeping the different compartments in check. Each level's day by day jobs contributed a hopeful outlook into the new planet's future landing. Before this strange and isolated community was formulated, the plan was to freeze a good amount of Earthly residents who would last the three hundred years of traveling. Their role was to bring useful information that would help people survive on the new planet. Among the frozen, were Amy and her intelligent, and essential parents. Now, an unfortunate disturbance causes Amy to wake up earlier than expected. Without a choice, she is succumbed into a world where people consider her a freak. Amy is just a lonely girl surrounded by others who all share the same appearance and behavior (not counting the "crazies" in the ward.) I absolutely loved Amy, hands down one of the strongest females developed. Beth first introduced Amy in between her awake and frozen state. The pure anguish of not knowing if you were actual dreaming or subconsciously awake was terrifying. I always joke around with my mother that I am going to freeze her. After reading the emotional drain Amy went through I would never want anybody to go through this procedure. Luckily, once Amy struggles to make sense of this community, Elder befriends her. Elder's character was well thought out. His demeanor held differences to others around him, including Eldest. The dual narration between the two assisted me in creating a visually pleasing picture in my mind of not only there traits but their environment as well. The majority of the book circles around the mystery behind who is disarranging the boxes of frozen people. The speculation and non-stop action behind the murderer was thrilling. I seriously had no idea who could possibly be so heartless. But, in the end the outcome turned out amazing. So many secrets and backstabbing behavior was on a ship where ignorance was bliss. Phew, as you can see there are so many aspects to this novel, I summarized more than usual. All in all, this promising start blew me away. The concept was brilliantly systematic from start to finish. It also presented a dystopian feel towards a life where humanity is sadly attached to strings with power hungry energy. Across The Universe, might have been wordy at times but, the writing and plot was so exquisite, I looked past the length. 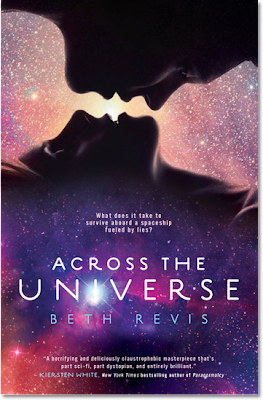 Beth Revis, I hear by crown you the queen of science fiction. *bows down to you* I still can't believe how innovative this debut was, it really pushed the YA bar for 2011. I can't wait to see what happens next in the sequel! Great review. I just finished the book. It was great!! and the synopsis sounds great. I SO want to read this book! It looks great and you've given an amazing review! Excellent review Eleni!! I LOVED this book too. Amazing plot and characters. The cover also is fantastic... and reversible! LALALALA...I only have 50 pages left!! I'll come back once I'm finished. But, I love it too!! So very good and worth the wait! I completely agree with you! This novel was fantastic and Revis totally is the queen of YA sci-fi. Darn!! Now I have to add this one to my list! I'm supposed to have a $25 limit when I actually make it to B&N. . . . May have to expand it! ^_^"
I definitely cannot wait to read this one, as all I've heard about it sounds amazing. Ohhh, I really want to read this one!!! I really, really need to get this book. I keep hearing great review after great review. I've read not so good reviews for this book but your review made me want to go and buy it so bad and of course read it. I dont read sci-fic that much but I am willing to give it a chance. Wow! Excellent review, Eleni! You've just made me want to run out and get this book. Like, right now! It sounds so unique. This one is definitely on my list. Can't wait to get myself a copy. Again, brilliant review, Eleni. Loved it =D.